The girls' first kindergarten report cards were stuffed into their communication folders last week. I had a big smile on my face after reading through all three of them. There were 19 categories that were graded with either an (E)xcellent, a (S)atisfactory or a (N)eeds improvement. These were behaviors such as listens attentively, follows directions, presents neat and careful work and effort placed on different tasks. Allie and Emily had all Es. Anna had all Es aside from one S for participating in group discussions. 1 - Beginning to develop grade level standard with significant teacher support. These were items such as recognizing and producing rhyming words, identifying numbers and printing letters. Allie had almost all 4s with a few 3s. Emily received 4s, a few 3s and one 2 for one of the writing standards. Anna also had 4s, 3s and two 2s for writing standards. She attends OT and PT for both fine and gross motor skills and is doing quite well according to her therapists. We are all working with her on her handwriting and she has been making progress. "Alicenne makes friends easily. Alicenne is a pleasure to teach!" "Anna is a sweet, kind little girl who is a pleasure to have in my class." "I love working with Anna! She is such a sweet girl, and she tries so hard." "Emily is very sweet and loves learning new things. She has opened up a lot and does a great job participating." Of course, if my children were not doing well in school, I probably wouldn't be posting anything regarding report cards. So this is partly a proud mother bragging and partly a mother of a child with spina bifida wanting to show the world how awesome her baby girl is doing. 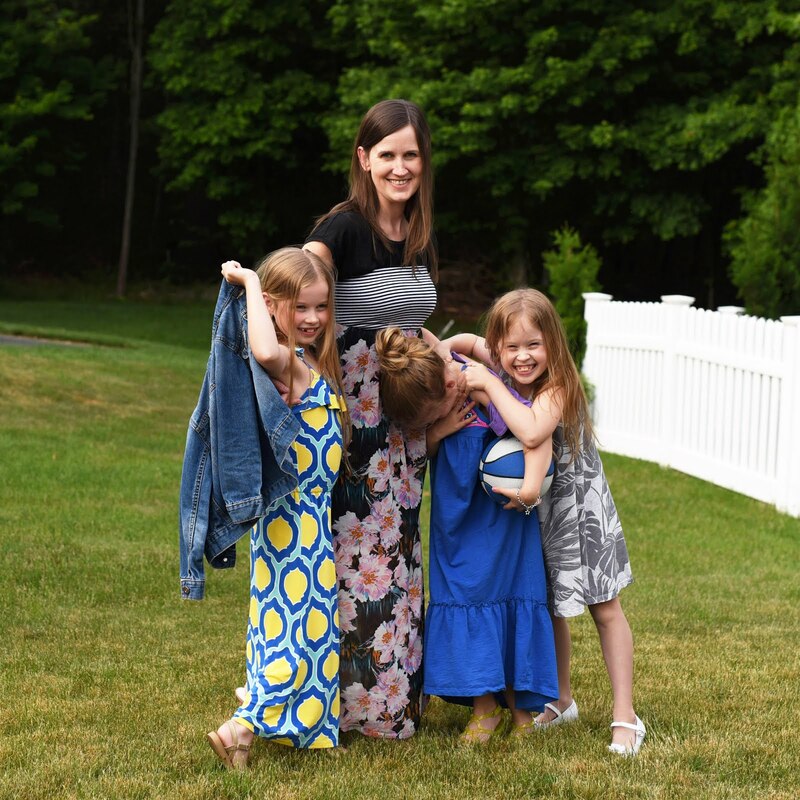 The child I have now is not the child I expected to have almost six years ago when a perinatologist outlined how spina bifida would change our family. There have been some bumps along the way and we still have a long road to travel but I know how lucky we are. You deserve to brag! They are doing so great! You should be bragging! Do they call Allie Alicenne at school? Those are such nice compliments, especially Emily's. Yes!!!!! All the girls are doing great, but there's a little bit more of a "YES!!! GO ANNA!" in me!!! It is funny reading this post as a Kindergarten teacher myself! I am currently writing reports and had forgotten how much they mean to the parents. After a hard evening writing them it does make me feel glat that they do actually mean something! Although, I will be glad when they are over and I can leave school at a sensible hour!! I'm glad everything is turning out well for your little girl. I constantly come back to check how the little one with spina bifida is doing. She is in my prayers. Love the report card blog :) Today Dad told the Doctor's special nurse about the girls. He had a little picture of all the grandchildren in his book. She said they were beautiful and we were talking about Anna. I said Anna was God's Special Gift to the family. Lily - usually Alicenne. I'm not sure she is vocal about being called Allie. Laura - Yes! they mean a lot to me even though it is just kindergarten.